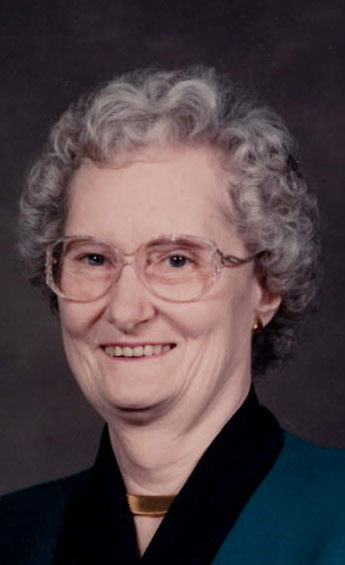 Mary Brown Kelly, 90, went to be with her Lord and Savior on Tuesday April 10, 2018 at Wellington Parc. Mary was born on September 16, 1927 in Hancock County to the late Samp and Willia Snyder Brown. She was a member of Blackford Baptist Church and retired from General Electric. She enjoyed quilting and playing the piano. She was preceded in death by two husbands Leslie Sanders and Robert “Bob” Kelly and a brother Hunter Brown. Survivors include a step son Bobby Kelly (Sharon); nieces and nephews Junie Brown (Brenda), Linda Brown, Don Brown (Diane), Gaye Swihart (Ray), Glenn Brown (Patty), Dana Bozarth (Dale) and Kim Fullenwider; step grandchildren and step great grandchildren and several great nieces and nephews. Services are at 1:00 pm Thursday April 12, 2018 at Gibson & Son Funeral Home, Hawesville with burial following at Blackford Baptist Church Cemetery. Mary’s family will greet friends from 10:00an until service time Thursday at the Funeral Home.